On 08 January 2015, the US Department of Defense announced the consolidation of some U.S. infrastructure in Europe, including the return of 15 sites to their host nations. As a result of this announcement, DoD is to partially close Camp Darby near Livorno and returns about half of the installation to Italy. Camp Darby is probably best known as a recreation destination. 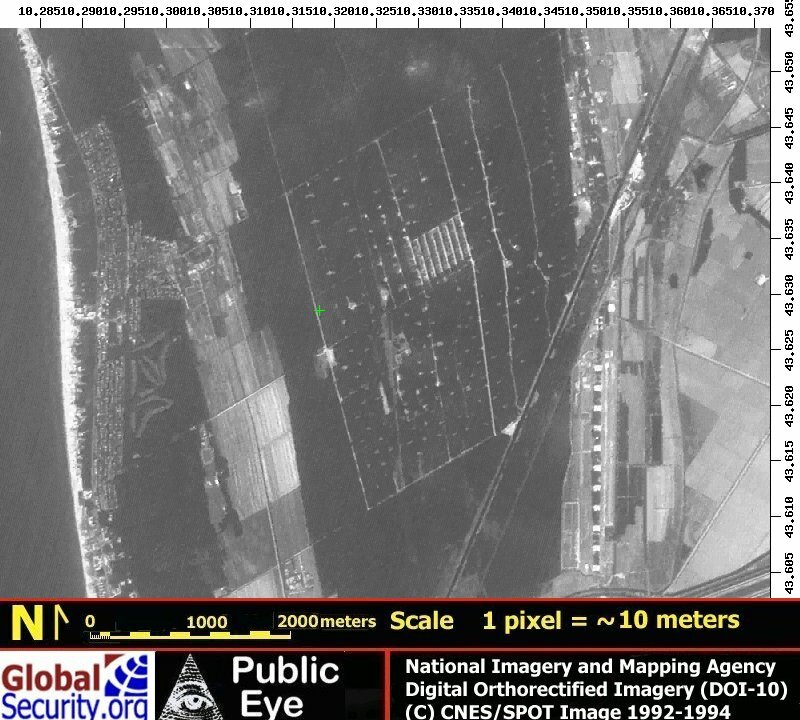 Located in Pisa the installation's beach, campground and guesthouse attract US and NATO soldiers, family members and DA civilians from across Europe. Camp Darby is home to 26 Army, Air Force and Department of Defense tenant activities. 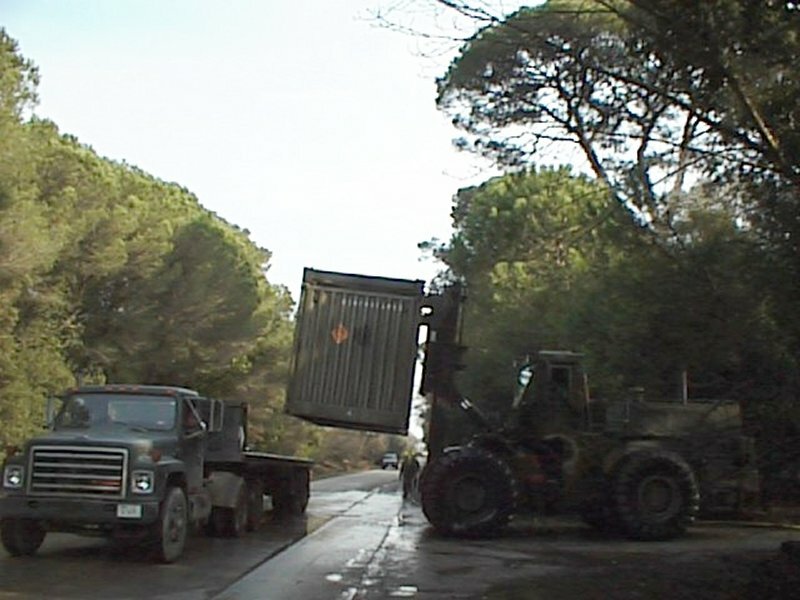 The Army organizations include the Combat Equipment Battalion-Livorno, or CEB-L, which stores and maintains prepositioned equipment and vehicles, and the 839th Transportation Bn., which is assigned to the Military Traffic Management Command and runs all the seaports supporting US military operations throughout the Mediterranean. 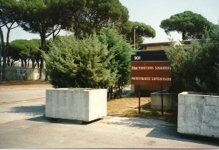 In 1951, the US and Italy signed an agreement that the US would operate lines of communication across Italy, and that the US would occupy land near Livorno. This land became Camp Darby, named for Brig. Gen. William O. Darby, who was killed in action in northern Italy, April 30, 1945. All US occupation forces in Austria were withdrawn after the Austrian State Treaty was signed in 1955. 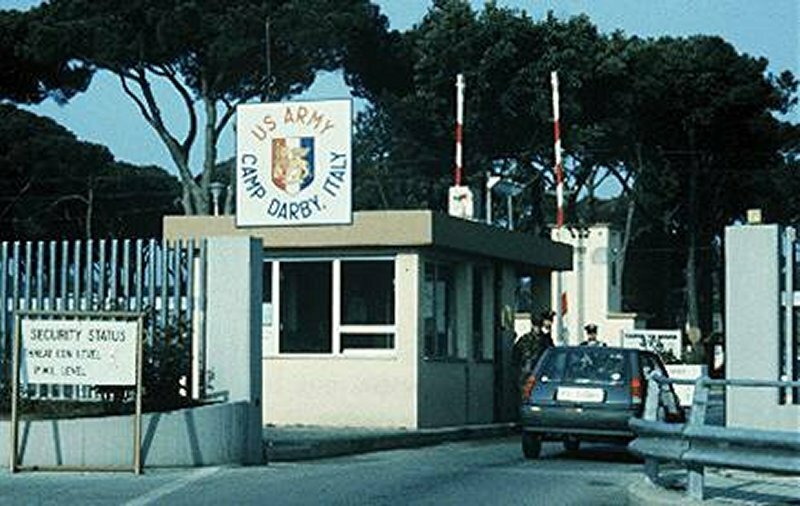 Under provisions of the agreement with Italy, Camp Darby was the base for the removal of soldiers, equipment and supplies from Austria. 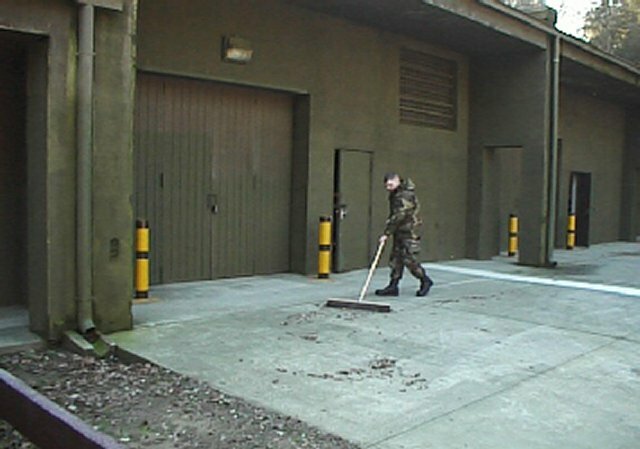 USAREUR has programmed for construction or renovation of all required facilities for two strategic deployment hubs-one located at Rhine Ordnance Barracks adjacent to Ramstein Airbase supporting the Central Region and the second in Northern Italy supporting the Southern Region. Additionally, a stationing plan has been developed that ensures each deployable unit is supported by a local railhead, appropriate road network and a regional APOD/APOE. 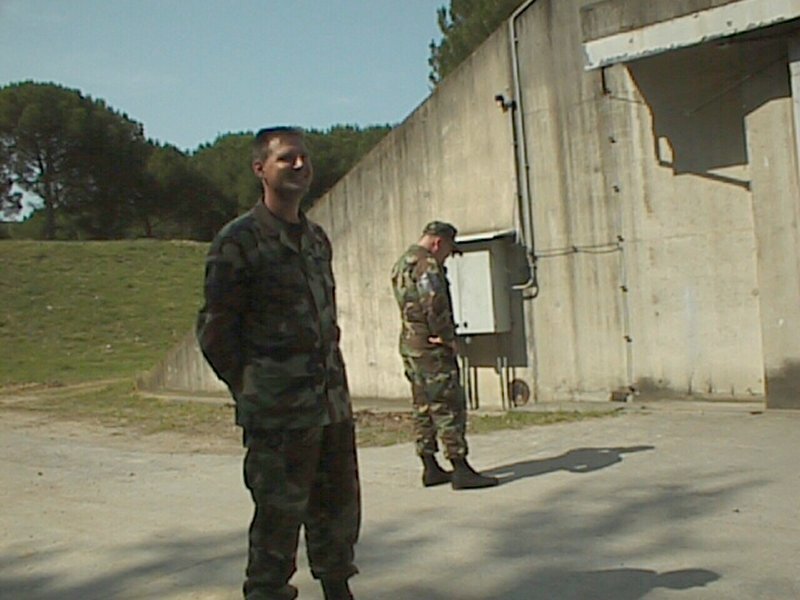 Camp Darby is also home to the 2,000-acre Ammunition Storage Facility, whose 125 bunkers house strategic ammunition reserves for US Army, Europe, US Air Forces, Europe, and Army Materiel Command. The post's resident Air Force activities include the 31st Munitions Squadron and the 31st Redhorse Flight. 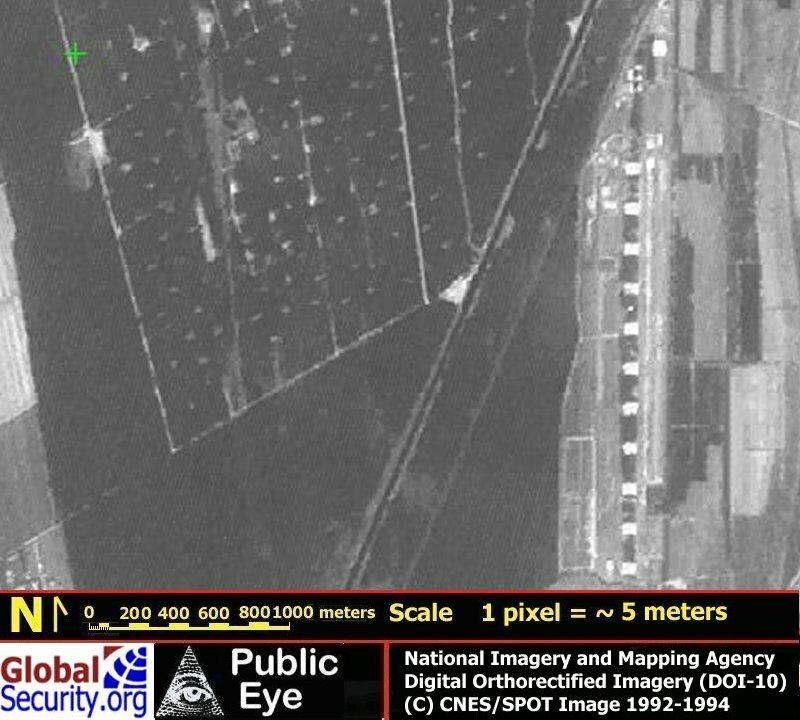 The latter unit maintains two complete sets of prepositioned engineering equipment -- about 500 pieces in all -- that the Air Force would use to build airfields and repair damaged runways. 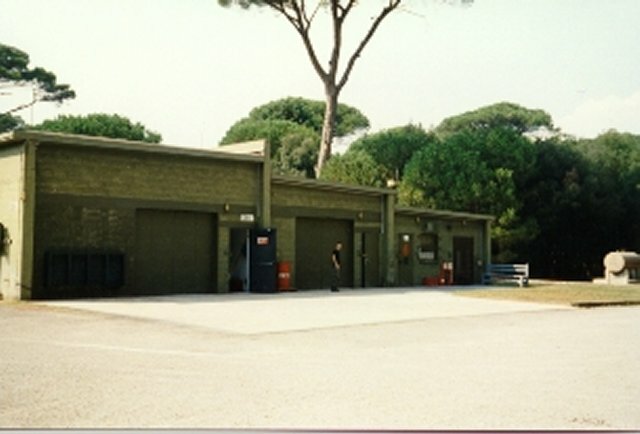 The largest of Camp Darby's tenant activities and the only American facility of its type in southern Europe, the CEB-L stores and maintains equipment for what's known as a "two-by-two brigade set" -- two armor and two mechanized-infantry battalions. Huge warehouses contain all the materiel, repair parts and support items the units would need. Rows of M1 tanks, M2 and M3 Bradleys, M88 tank-recovery vehicles, Humvees and trucks dot the installation, basking in the Italian sun. 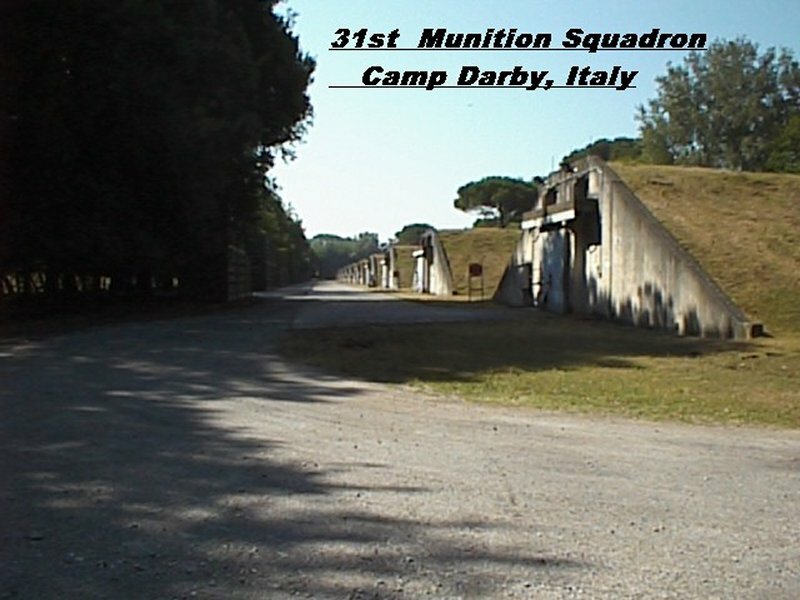 Camp Darby is the only Army site where prepositioned materiel is co-located with ammunition. 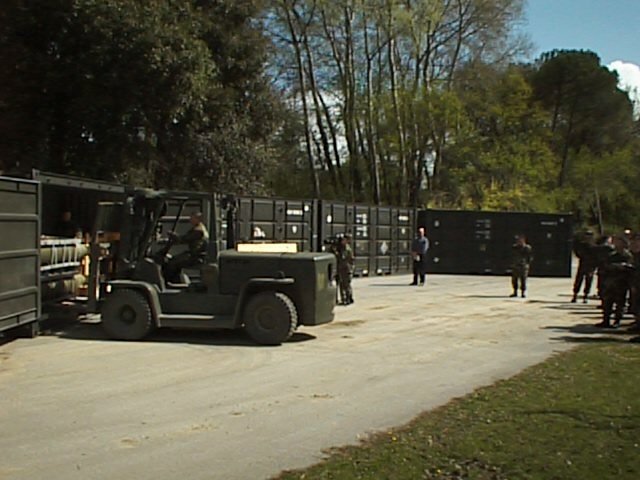 The equipment, vehicles and ammunition can thus be moved simultaneously to waiting units. This is the only location in the southern region from which the US military can ship ammunition by sea, for example. 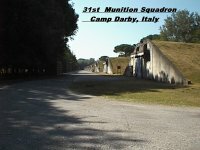 Camp Darby has a canal used to move the ammunition to Livorno's harbor, where it's loaded on small ocean-going vessels and taken to a port a couple of hours south of here where ammunition ships can load it. In addition, it is right next to the Pisa airfield, which is C-5 capable, so we move critical combat equipment or ammunition out by air. 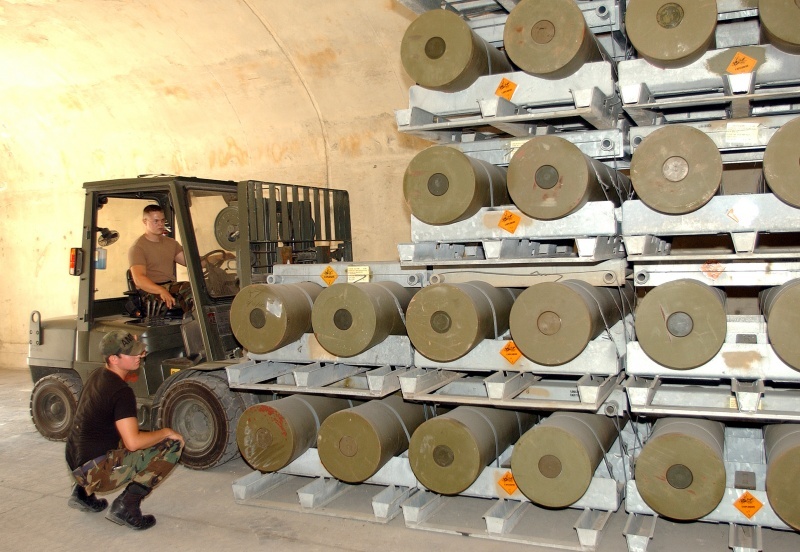 During the summer of 2000, the 31st Munitions Squadron (MUNS) at Camp Darby relocated more than 100,000 items with a net explosive weight of over 53,000 pounds for 12 days out of eight munitions storage structures (aboveground magazines or igloos) to another storage area. This move came as a result of structural problems with the ceilings of those igloos which contained contained high-explosive missiles, rocket warheads, projectiles and fuzes. The 22-year old facilities' structural problems had been progressing for years. Engineering studies were done in 1981 and again in 1995. In the mid-1980s, a steel mesh was anchored into the ceiling and a coat of shockcrete (a type of concrete) sprayed into the mesh. But by May 2000, the weight of the coating had finally caused large pieces of the shockcrete, mesh and some of the original ceiling to separate in one of the igloos, forcing the 31st MUNS called in the U.S. Army Corps of Engineers to perform an engineering evaluation on all eight igloos. The results raised serious concerns regarding the structural integrity of the facilities. As a result, the 31st MUNS disconnected power to the facilities and prohibited temporarily access to the eight igloos - including the stacked-to-the-ceiling munitions still stored there. The munitions were later removed by the 31st MUNS, working through the HQ USAFE staff, and coordinated with the USAFE Civil Engineer, using the All-purpose Remote Transport System, known as ARTS, to move the munitions out of the igloos and the Mk 3 Remote Ordnance Neutralization System (RONS) robot for additional monitoring capability. 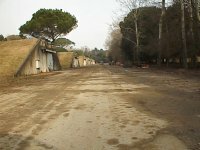 Significant improvements will be made to the Tombola Dock facility at the Camp Darby Ammunition Storage Area (Livorno, Italy) by the year 2005. 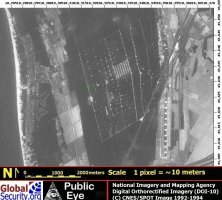 In order to guarantee ability to efficiently outload munitions in support of a future contingency operation, the area of the Navicelli Canal immediately in front of Tombola Dock must be dredged. Ammunition coaster propellers and bow thrusters continue to transport the canal bottom from low spots to high spots, thereby reducing the effective water depth to the point that munitions shipping capacity has been cut in half. 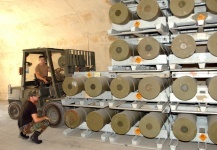 Munitions shipments in support of US and NATO operations in the Balkans over the past several years have exacerbated this problem. Furthermore, the dock facility is in a state of disrepair and requires several additional improvements to maximize it's future potential to support contingency operations. 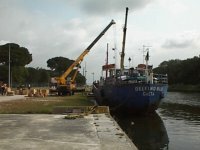 Immediate dredging takes advantage of ongoing dredging of the Navicalli Canal, at a reduced cost of approximately Lire 480,000 ($24,000). A separate dredging contract would cost roughly double that, and delaying dredging will not be prudent in view of the volatile situation in the Balkans. 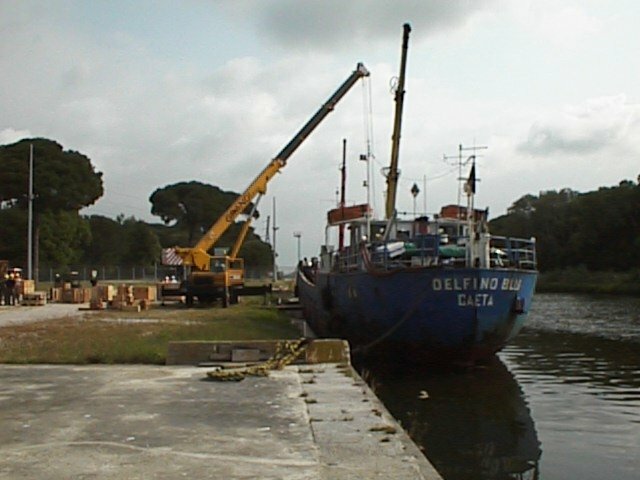 Follow up dredging with installation of a "concrete mattress" (prefab concrete panels) or riprap, layered on the canal floor the length of the Tombola Dock and the width of the canal; cost approximately Lire 300,000,000 ($150,000). This will negate future dredging by providing long term stabilization of the canal floor. 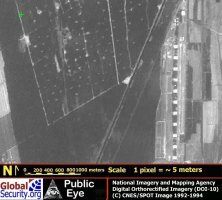 The Army is investigating the integrity of existing sheet pile wall, preferably using an electronic method such as side-scan sonar, to determine if there is any separation of sheet pile, or if there are any holes in the piles; repair as required; cost approximately Lire 100.000,000, to 130,000,000 ($50,000 to $65,000) depending on the severity of the problem. By 2010, $1.8 million construction on the remaining upgrades to the Tombola Dock Facility will be completed. Upgrades include: construction of an ammunition inspection facility; increase the length of the dock to support the berthing and load out of 2 coaster ammunition vessels; increase the offset and width of the channel to enable coasters to do a 180 degree turn; pave the dock; add lighting to the pier to support 24 hour operations; construct a dock operations facility; repair 3 road bridges which provide access to the facility; and construct 6 ammunition holding pads. Subject to NATO approval, upgrades will be funded via an amendment to the current NATO force projection capability package. 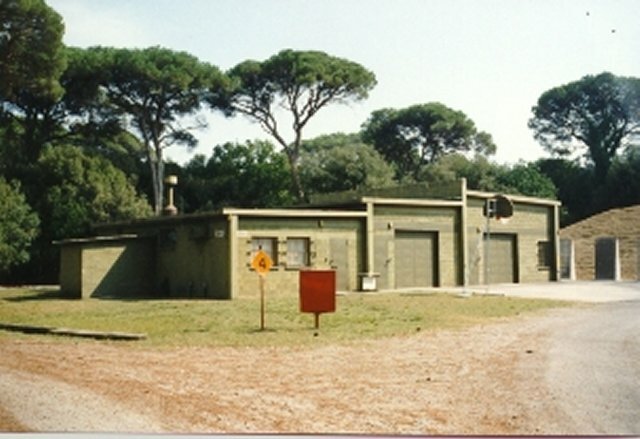 Leghorn Army Depot Activity, formerly known as the General Support Center-Livorno, on the northwest coast of Italy became an IOC asset in 1994. The depot activity's mission is to receive, ship, store and maintain Army War Reserve and operational project stocks. Accountability for the war reserve stocks stored there transferred to IOC in 1993; a year later the installation transferred as well. The IOC is Army Materiel Command's agent for the management of all Army War Reserves worldwide. 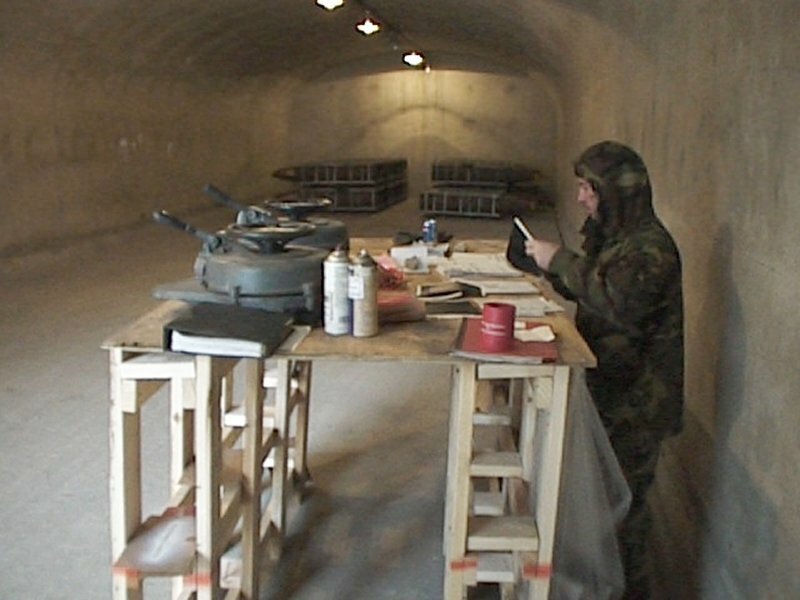 Although the depot is new to IOC, its service to the Army has a long history. Built in 1951 near Livorno, the depot and its adjacent ammunition storage area supported US forces in Austria. A few years later, Leghorn expanded support to service members in Italy and southern Germany. As the Army's requirements changed so did Leghorn's mission. Established originally to support only a small region of Europe, the 2,400-acre depot is now a site for enough Army War Reserves to outfit a brigade. These stocks, called AWR-2, include ammunition, "rolling stock," unit basic loads, and life support items packaged in 45 company sets. Unlike POMCUS, which has a designated unit, this equipment is a deployable package ready to be shipped to support US operations anywhere in the world. In October, Leghorn will become part of Combat Equipment Group Europe when the IOC assumes command and control of that organization. Today, Leghorn is responsible for the storage, issue and maintenance of AWR-2 stocks, State Department stocks, Office of US Foreign Disaster assistance stocks, and US Army, Europe, decrement stocks. Combat Equipment Battalion-South and its 24th Cbt. Equip. Company at Leghorn Army Depot in Livorno maintain a $2 billion inventory of prepositioned equipment and ammunition, including enough gear to outfit a heavy brigade of two armor and two mechanized infantry battalions. The depot stores 2,600 pieces of Army rolling stock plus other equipment and supplies -- more than 11,000 national stock items -- and it provides the largest ammunition storage area within US Army, Europe. Ten warehouses store supplies which include field rations, packaged petroleum, construction and barrier material, trucks and tanks as well as repair parts for the equipment. Leghorn has played a significant role supporting NATO exercises as well as United States humanitarian missions. 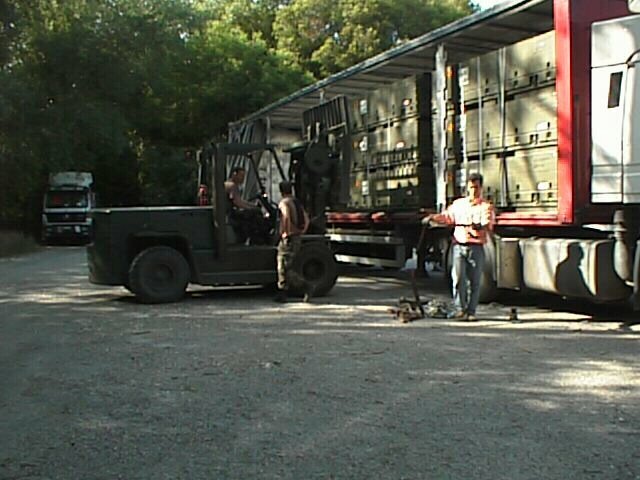 The depot shipped supplies to Somalia, Panama, Philippines, Rwanda and Chechnya. This summer Leghorn supported Exercise Mountain Shield. 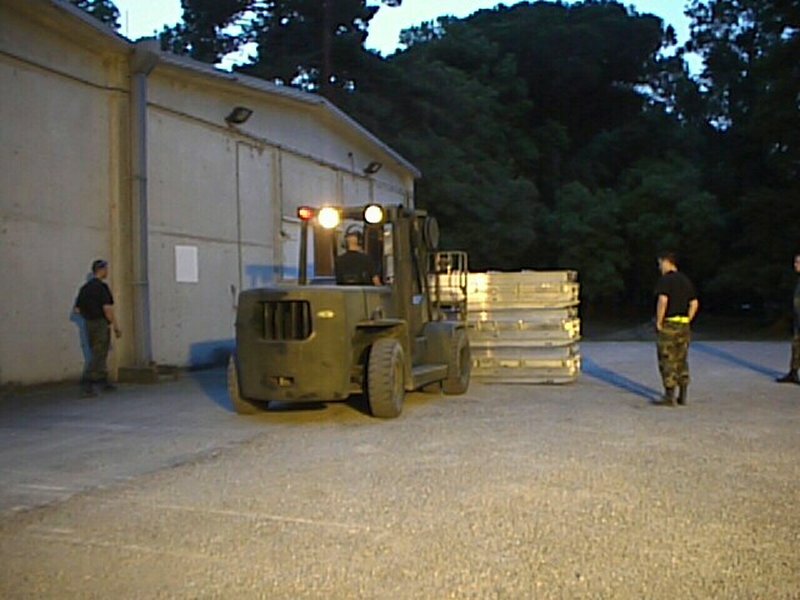 At USAREUR's request, the depot prepared and staged about 400 pieces of "rolling stock" like HEMTTs and HMMWVs as well as trailers and generators. The depot, commanded by a lieutenant colonel, operates with a work force of about 330 employees, which includes military, US civilians and local national civilians. As of mid-May 2001, the tap water distributed to Camp Darby was considered drinkable. 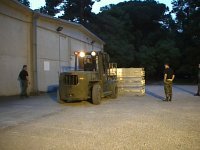 The drinking water distributed to Leghorn Army Depot was, however, considered non-drinkable due to presence of volatile organic compounds. To provide a safe supply of water to this community, the Army was providing bottled water for personnel working at the depot. 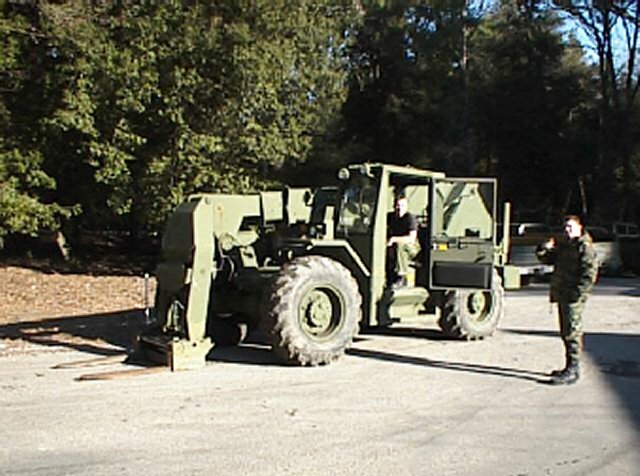 A project was ongoing for piping drinkable water from Camp Darby to the Leghorn Army Depot. 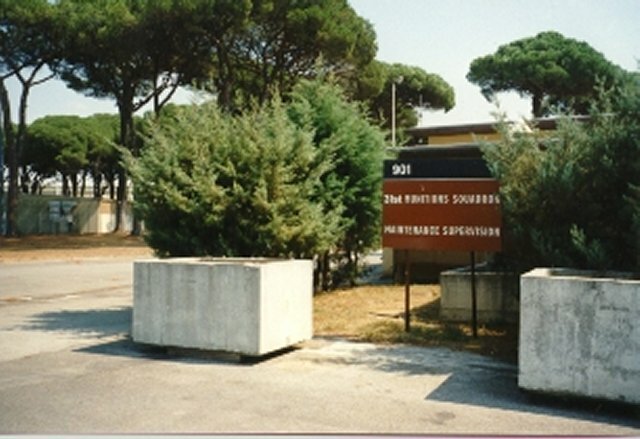 Ensuring a decent quality of life is important for the Area Support Team-Livorno, which performs the same installation-management functions at Camp Darby that its parent unit, the 22nd Area Support Group, does at Caserma Ederle in Vicenza. Camp Darby's permanent population, counting the units and family members, is more than 2,000 people. There are about 350 military personnel, divided equally between Army and Air Force. And there are about 580 Italian employees split between the Area Support Team staff and the CEB-L. It is also a training base for the Army National Guard. 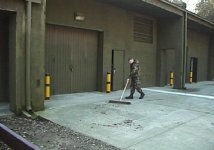 In summer there are about 700 Guard soldiers deployed, usually mechanics or engineers, though the Camp also uses military police units. There is a local training area they can use, they stay in a great cantonment area, and they can visit places like Rome, Pisa and Florence. 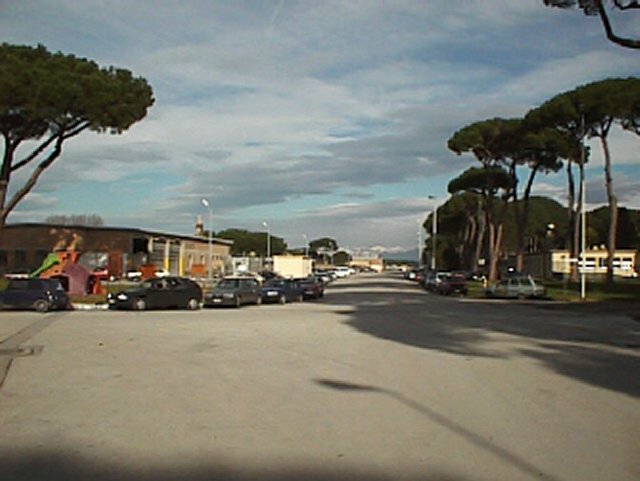 The post is located between Pisa and Livorno, at the southern end of the Italian Riviera. 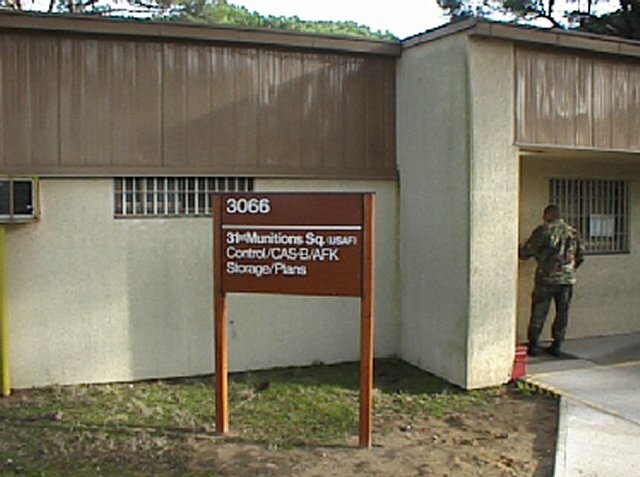 There is no on-post housing available on Camp Darby. Most service members and their families reside in government leased quarters. DOD civilians and those service members not in government quarters reside on the economy. For the latter group, Overseas Housing Allowance (OHA) is authorized to supplement BAQ and to defray rental and utility costs. There's no avoiding the fact that, for all its strategic importance, Camp Darby is also a premier vacation destination. It is on the Italian Riviera and has great facilities that also happen to be relatively inexpensive. 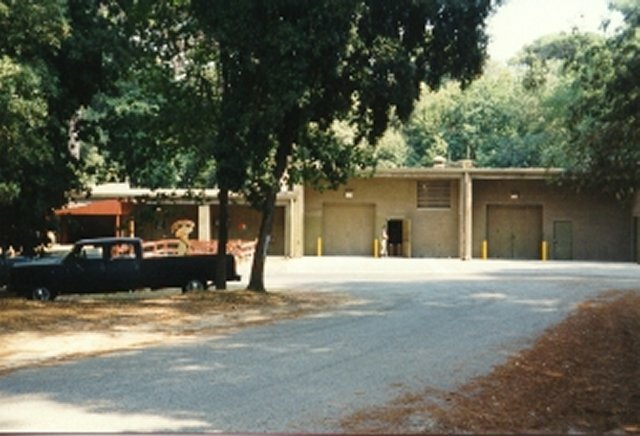 Camp Darby hosted between 25,000 and 30,000 guests in 1999, and that number was expected to hit about 50,000 in 2000. Access to the post's MWR facilities -- including the PX and commissary -- is open to all US military members or retirees, family members and DOD civilians. Individuals assigned to NATO units and who have NATO ID cards or NATO orders enjoy the same level of access. Members of various NATO-related organizations have limited access -- for example, access to some of the MWR facilities but not the PX or commissary.